Pylon might not have achieved the fame and notoriety of fellow Athens-based bands like R.E.M. and the B-52’s, but the funky new wave group was a beloved part of the college town’s arts and music scene. After its initial run (1978-83), the band would reunite for awhile at the end of the decade, and then again in the mid 2000s, but the 2009 death of founding guitarist Randall Bewley ended Pylon for good. Yet that wasn’t the end of the story. In 2014, The Art Rocks Athens Foundation – an organization whose mission is to unearth and catalog and showcase the art that came up around the scene in Athens – wanted some music for its annual event. Executive committee member Jason NeSmith reached out to Pylon vocalist Vanessa Briscoe Hay, asking if she was interested in performing. “I had already been playing with Vanessa in a band called Supercluster,” NeSmith says, “and because she’s so integral to the scene – then and now – it would have been wrong if I didn’t offer her a place to make some kind of music.” Hay agreed. 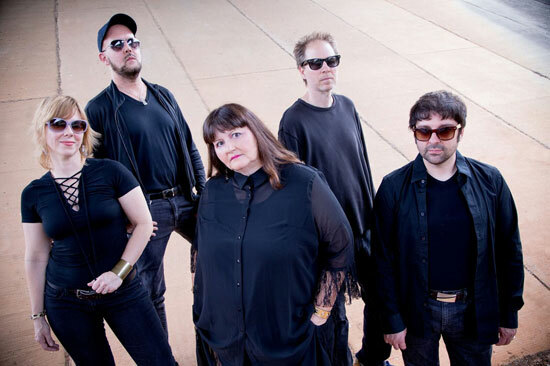 “Showing the connection between the Athens art and music scenes between ’75 and ’85, it would be appropriate to play [the music of] Pylon,” she says. After what was initially planned as a one-off gig, the band dropped the “Historical” from its name. In July 2015, PRS played at a party celebrating the release of Pylon Live, an archival live album documenting a high-energy 1983 set. The party show went so well that indie band Dressy Bessy approached Hay and her band mates and invited them to do a run of live dates together.